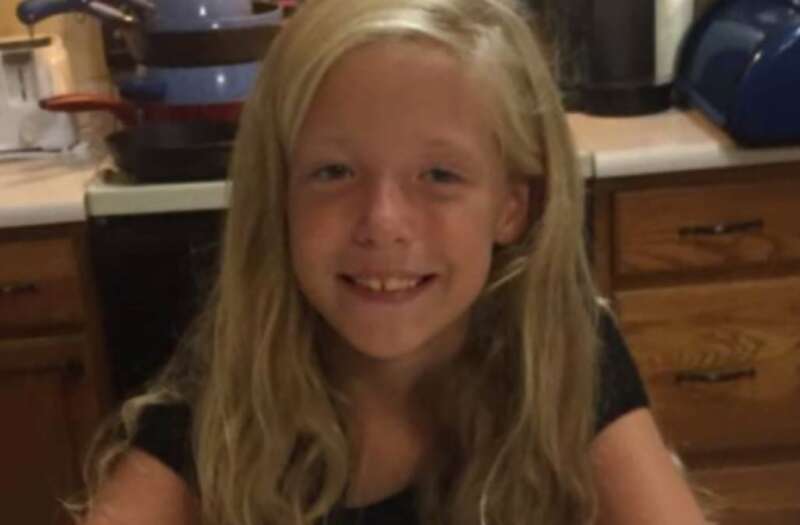 A 9-year-old girl has been hailed a hero after calling 911 from inside a car where authorities said both her parents overdosed on heroin. "They're both breathing," the girl can be heard saying in a call to 911. "Okay, okay, but you're unable to wake them up?" the dispatcher asked. "No, I tried, and they won't wake up," she said. Her mother was passed out behind the wheel of the family Jeep and her father was unconscious in the back seat. The little girl took her dad's phone and used it to call for help. But before she called 911, the little girl frantically called her grandmother, Anna Dove. "My mommy's fallen asleep and I can't wake her up. She said, 'I'm gonna die, grandma. I'm gonna die. We're gonna wreck, we're all gonna die,'" Dove told Inside Edition. With the girl still on the phone, Dove used another phone to notify police. The operator instructed her to have the little girl dial 911. "I am going to stay on the phone with you until they get there, okay?" a dispatcher is heard saying to the girl in the 911 call. "Okay, I'm scared," she replies. "I know you're scared, but you'll be okay, it will be alright," the operator said. The operator tried to figure out the exact location of the car. "Are you in a tan Jeep?" asked the operator. "It's like chocolate milk, it looks like chocolate milk," replied the little girl. The Jeep was found in a parking lot in Cincinnati. Amazingly, the girl had the smarts to reach into the front seat and place the car in park. "That little girl stopped a moving car and threw it in gear to keep from wrecking," Dove told Inside Edition. In grainy footage, you can see emergency vehicles rushing to the scene. Both parents were treated with Narcan, a nasal spray used to treat an opiate overdose, according to reports. Throughout the ordeal, the girl was comforted by her pet feline. "I have my cat in here with me," she told the dispatcher. "I found it on the street and it was all alone, and it liked me," she said. Dove said her granddaughter's efforts saved lives. "She knew they were in trouble, she knew it was a case of life or death," Dove said.